I am not sure which skin care service would be best for me, what should I do? Schedule a facial and our Esthetician will advise you which service is appropriate for your skin type. It’s my first time getting a facial. Is there anything I should know? Our highly trained Esthetician will do a thorough consultation before beginning your service in order to discuss all options, new offerings, and what might best benefit you. 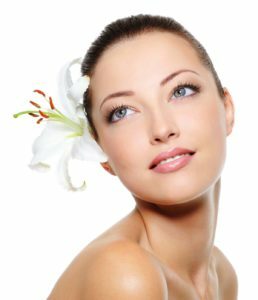 After discussing the options best suited for you, the Esthetician will make you aware of the charges and what to expect during the service. Please let your Esthetician know if you have any special requests or concerns. It is easier for us to meet your needs if you tell us what you want from the ‘get-go’. Your facial is the first, but not the only step toward seamless skincare. At Beauty and Beyond, we’re big on ‘follow up’, so please feel free to peruse the personalized product pack that awaits you at checkout. These Altivo products are chosen by your Esthetician after a thorough analysis of your skin. Our staff can answer any questions you might have on the what, when, where, and why of your recommended regimen. It is important to remember that your skin needs between-facial protection. I have multiple skin conditions/problems from a long time. What should I do? Beauty and Beyond Skin Care Center is one of the few places in Houston that offers Computerized Skin Analysis. Our skin care specialist will do a consultation and show you the damage, causes and treatment options for your skin condition. The thorough analysis takes one hour and at the end you will be shown 3D, UV and high resolution pictures. These will include details such as sun damage, pigmentation, sebum levels and wrinkle formation including the inner layers of your skin. Can I put make-up on after a facial? Make-up shouldn’t cause any post-facial clogging, unless you’ve had a peel treatment. You should try to keep your skin clean at least for a couple of hours. Otherwise, make-up as you wish. Please discuss with your Esthetician to make sure that the makeup you are using is appropriate for your skin type, condition and can be used with the products recommended. What do I need to do to achieve the best results following a skin care treatment? You must follow the treatment that is advised by your Esthetician. It is essential to use Altivo homecare products with every skin treatment. Your esthetician will recommend you the Altivo products that need to be used during different time of day and night. By using the recommended Altivo products, you are ensuring quick results and healthy skin. If you are looking for results you must use the suggested Altivo products on a daily basis. Results depend on the treatment you are pursuing. A simple facial may show immediate effects but an Acne Treatment may take a couple treatments before you are able to notice results. Our services are focused on achieving long lasting results rather than immediate suppression of conditions. Our Esthetician will educate you on what to expect. Why do I need to give you my credit card information to make an appointment? We see majority of our clients by appointments only. Clients scheduling services worth $ 20 and above are required to provide their credit card information and authorization. Your credit card is used to guarantee your reservation.